“We have found the Gum–Raps a great way to engage people, especially at events with our “Litter – It’s not a good look” – campaign. The product is ideal to show case and campaign’s message and we have received very positive feedback from young and old.” Caroline Briggs Community Awareness Manager, Belfast City Council. Lewisham are launching a campaign which involves working with local businesses and schools to help get the message about the responsible disposal of litter. Part of this campaign involves the responsible disposal of chewing gum. 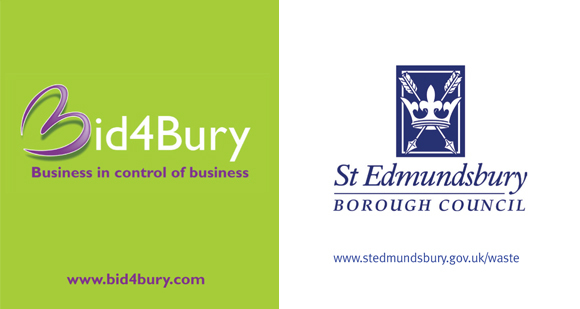 The six-month “no excuses” campaign has seen St Edmundsbury Borough Council and Forest Heath District Council join forces to spread the message that there’s no justification for dropping any type of litter – no matter how small. 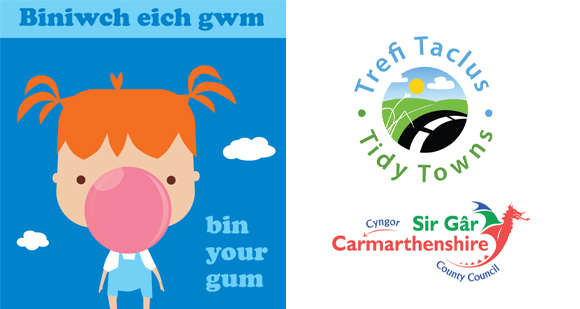 The campaign will begin by focusing on food and drink litter, and will change each month to include chewing gum. 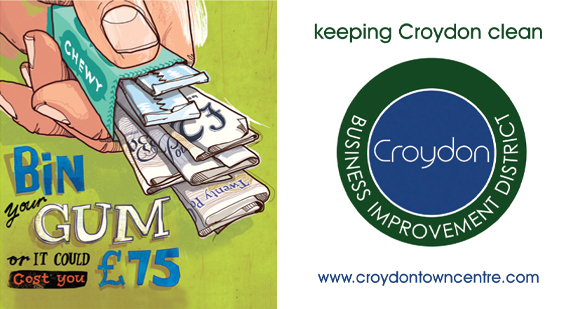 This is the fourth year Croydon BID has taken part in the nationwide Chewing Gum Action Group Campaign. The chewing gum campaign started on 5th September and will run until 2nd October. The Campaign was promoted in the Town Centre with Advans and Ad-bicycles, running a competition for people to put their gum in a golden bin and we also held a competition. The lucky winner of the competition was drawn and won £75.00 which is the equivalent of the fine enforced if found dropping litter. The chewing gum wraps are an integral part of the Campaign and these are handed out by the Neighbourhood Enforcement Officers, our Gum Busters, the BIDs Croydon Visitor Centre and Croydon College.